Watch this page for continuing updates on classes and opportunities that are scheduled throughout the school year, as well as other transportation-related events. 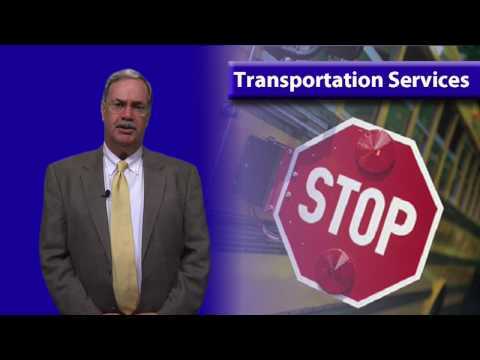 OSBA offers a unique support service for our member districts, known as the Virtual Transportation Supervisor. If you are interested in enrolling in the VTS program, please complete the registration form and return it to OSBA. OSBA offers members an opportunity for training in pupil transportation management. Our goal is to support newly appointed as well as veteran administrators. The training program focuses on three core competencies: compliance and safety; operations management; and governance and finance. The entire curriculum is delivered over a three-year period, with a minimum of five classes per school year. You may begin the program in any year. 2) purchase the MTA subscription on behalf of a designated individual to participate in the Master of Transportation Administrator program that includes all competencies over a three-year period, as well as required projects that benefit the employer. These are one-year contracts, a total of three years are required to complete the program. The full description of the program is available in the link to the right hand side of this page. Participation in MTA includes access to online class materials as well as OSBA's advanced pupil transportation library as well as transportation data summaries and cost calculators. Individuals interested in registering for this training should contact Diana Paulins at (614) 540-4000, ext 253; or by email at mta@ohioschoolboards.org . FY20 School year - "Compliance"
FY22 School year - "Governance"